1. You will be working with 2 sizes of blocks. 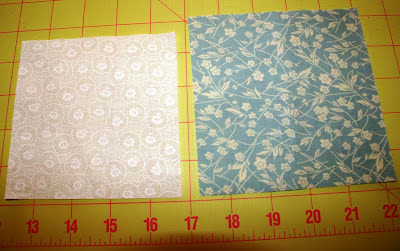 The larger is the front of your quilt and should be 1/2" larger than the bottom. My squares are 5" and 4 1/2". You can change the size, but always keep the smaller square 1/2" smaller than the larger. (Some instructions say 1", so there is some leeway in this too.) I had a large piece of the white on white, so that is what I used, but you can use muslin, which is inexpensive, for the smaller block. It won't show when you're finished. 2. Place the larger block over the smaller one with the RIGHT side up. (It doesn't matter for the bottom square since it will be inside your quilt when finished. Of course, it will not line up since the upper square is larger, so just start by lining up the top right corner. 3. 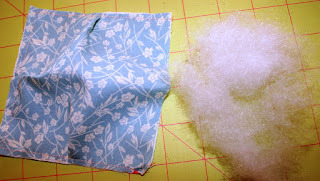 Begin sewing the two pieces together, making the seam about 1/8" instead of 1/4". Making this seam a little smaller than the final seam will keep it from showing when you finish your quilt. 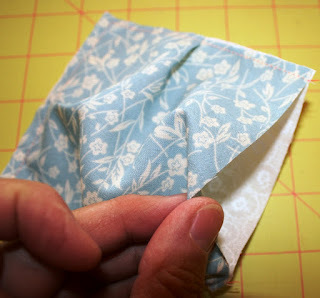 Sew about an inch and then line up the bottom corner (you can pin it if you want) and make a pleat in the center of the square with your fingers. Sew across it and down to the corner. 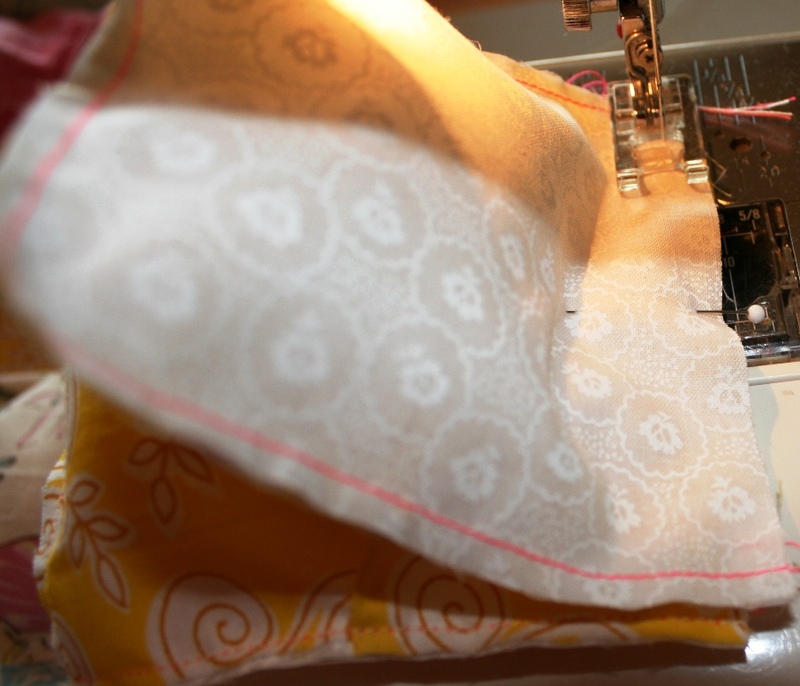 Stop about 1/8" from the end with your needle down in the fabric so you can pivot. 5. You now have an opening in one side and pleats along the other 3 sides. This opening is where you will stuff a little polyester fiberfill. You use polyester for this because cotton will pack down and lose it's puffiness. Fiberfill is NOT the same as polyester batting. It is sold for stuffing dolls, pillows, toys, etc. and is available at just about any big store selling fabric. 6. For my square, I chose a little puff of fiberfill just big enough to puff out the square, but not to actually "stuff" it full. 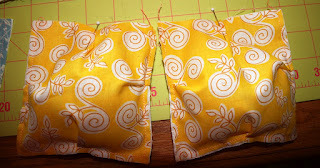 8..... and putting them together with the right sides touching, and sewing a 1/4" seam to connect them. 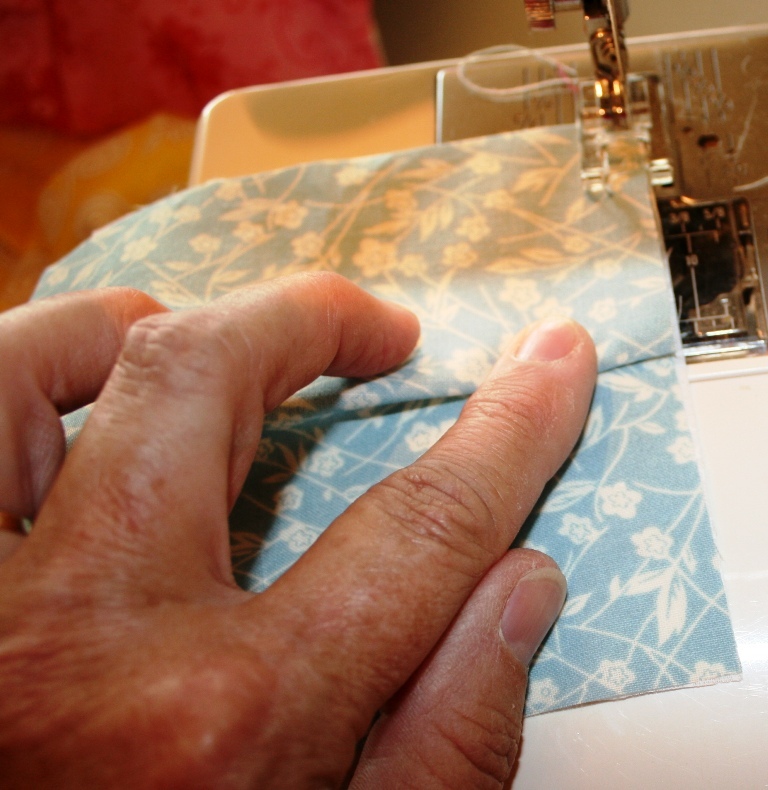 When you come to the pins, either remove them before you sew across that area, or very slowly "walk" your needle across them by turning the wheel by hand. You don't want to sew into a pin. It will break your needle and can even send the end of the needle flying across the room and potentially into you! It is also not good for your machine. 10. 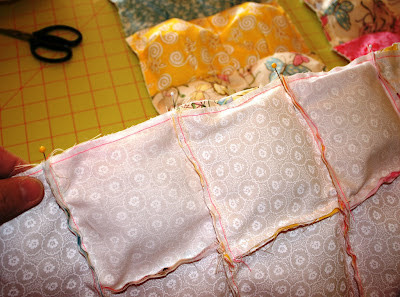 Make rows of sewn square sets. Mine are 45" long, but you can make them any length you want. 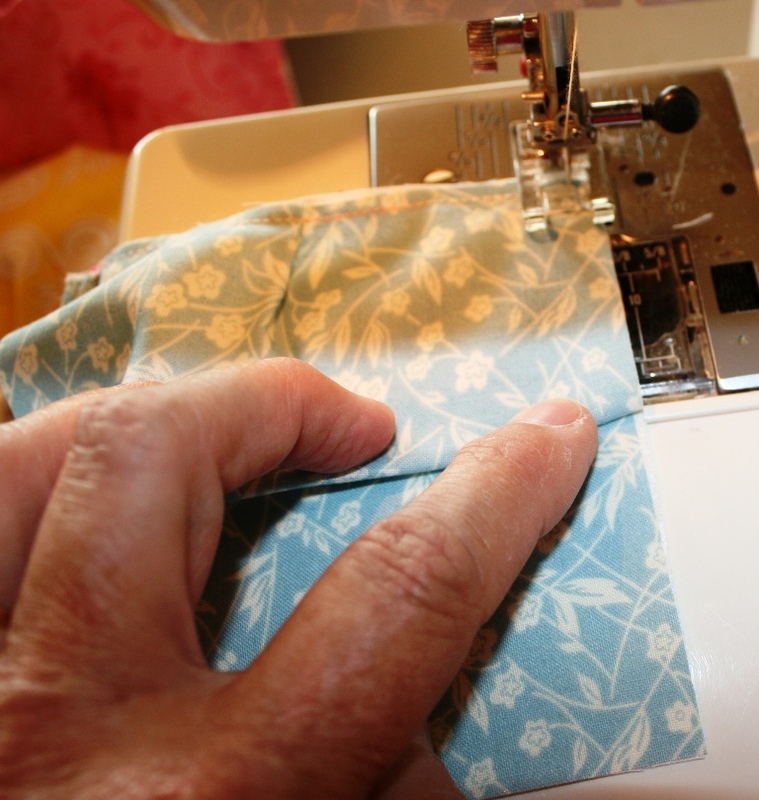 When you have enough, you will sew the rows together. 11. Sew the rows together the same way you sewed the sets together, by putting the right sides together, and matching up the seams by pinning them. 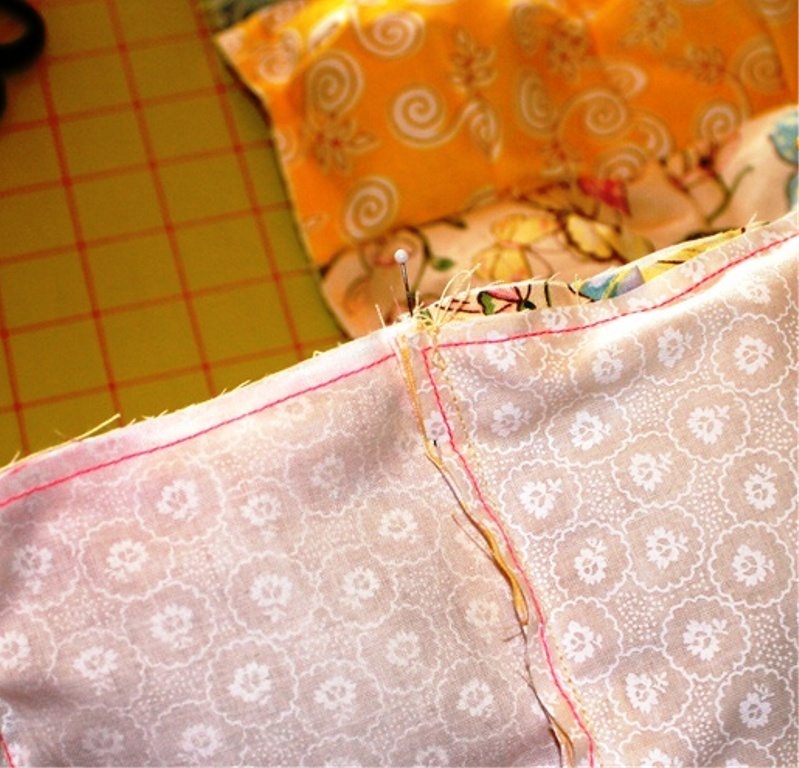 Remember to remove the pins as you come to them while you're sewing. 12. Here is the top after all the rows are sewn together. You're almost finished now! Notice that I did do a little planning of where colors went. 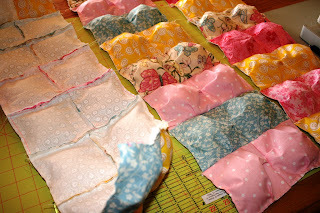 I did this by laying out my squares before I even started sewing them and decided on where I wanted each color. Of course, you can make it scrappier by just not worrying about that. Next time I'll show you how to put a back on your quilt top and finish it up. 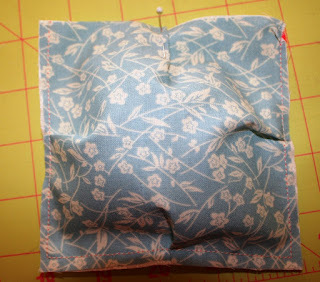 You can find Puff Quilt Tutorial, Part II here! This would be good as a little girl's room comforter or bedspread. It is really cute and looks so simple. I think one thing that looks very appealing is how you can do it in sections. Good post. how neat thanks for sharing! That's fantastic Linda. I LoVe this one.!!! thanks for the tutorial, I just put this on my list of things to make! I have a huge box of fiberfill and this is perfect for that! You're a wonderful MIL. I wonder if one day I'll write a tute for my future DIL? Oh my how adorable...I want to snuggle under it...a perfect evening to do so...raining! Hugs to you...you always inspire! Great tutorial. I have always loved the look of these type of quilts. Thank you so much. Thank you so much for this post. I want to let you know that I posted a link to your blog in Creative Busy Bee Craft Inspirations, under the Page 3 post on Aug. 14, 2012. Thanks again. This is the best puff quilt tutorial I've found! Thank you so much for the great descriptions and pictures. I've pinned it! Thanks for the tutorial! I can't wait to try it (after my eighty other projects). I've pinned this to my quilt board (pinkpeppercorns on pinterest). P.S. I am curious if you know how Clover's Puff Quilting Clip set is used. I don't see you using it or anything like it, so it must be completely unncessary. I've never used it, so I really don't know how well it works. 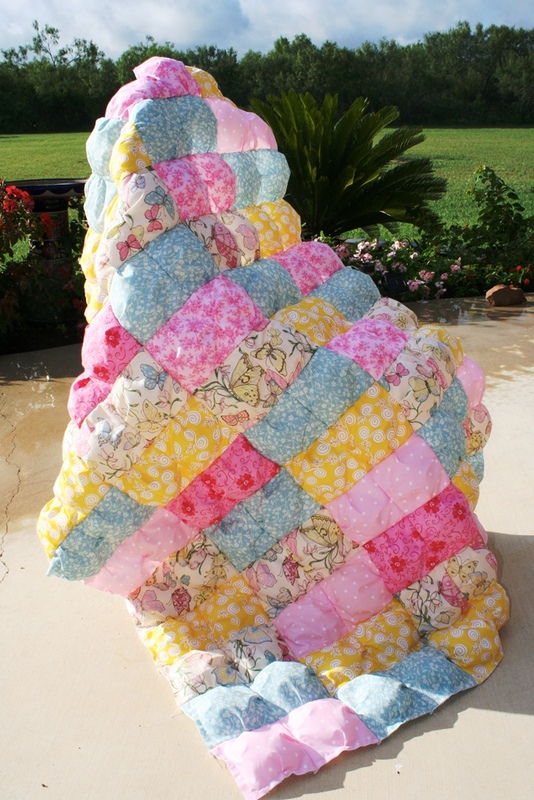 This is the first time I've seen a Puff Quilt and I think it looks fabulous. Thanks for the tutorial. I'm pinning for future reference. Thank you so much for sharing this; I am not a quilter but I have always wanted to learn and I love the look of this comfy quilt. I think this will be what I need to get me started.Thank you very much. Thanks so much for the excellent puff quilt directions! Very beautiful your work ... I loved ... one day I will do to my small daughters p ... sorry English, I used the translator, have a great week!! I'm from Brazil and I called Debora, pleasure! I want to make it as a gift to a friend who's pregnant with her first baby, so i was wondering about the practical aspect - can it be washed in a washing machine, assuming the back that's washable? Or the upper layer will get too wrinkled? Thank you again for this wonderful tutorial!! A million and one THANK YOU's! 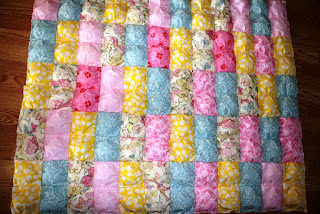 My last 3 quilts were "rag" quilts and I love them but WHAT A MESS and the threads messed up my washing machine. I used to own a puff quilt and got rid of it (yes, still kicking myself!) and now I am going to make myself one. Your instructions are super-duper simple and this is going to be my next project. Again....thank you for taking the time to post this.....you are in my fav's now! I did pin this tutorial on Pinterest! I teach girls to sew and this looks like a fun project! I will probably have them do a small one first, maybe a doll blanket. Thank you for putting this tutorial together! So happy I found your blog ... I love this tutorial ... thank you! EXCELLENT, clear instructions! You have a gift for teaching! Thanks SO much for sharing!! this may be a stupid question.. the smaller square has to be a 1/2in smaller on all sides? or only two sides? this is my first sewing project i'm a newbie. thanks! I really like this, thank you for sharing! I'll be waiting for the back! Does this cover a twin size, with a little extra? Jamie, I wrote you a long answer and then discovered that you are a "No Reply Commenter". Hopefully, you will see the answer here. A twin sized mattress is typically 39" x 75". The quilt in the tutorial is 45" wide. (I did not give dimensions since that is all dependant on the number of squares you use. Also the size of each square will change the dimensions.) 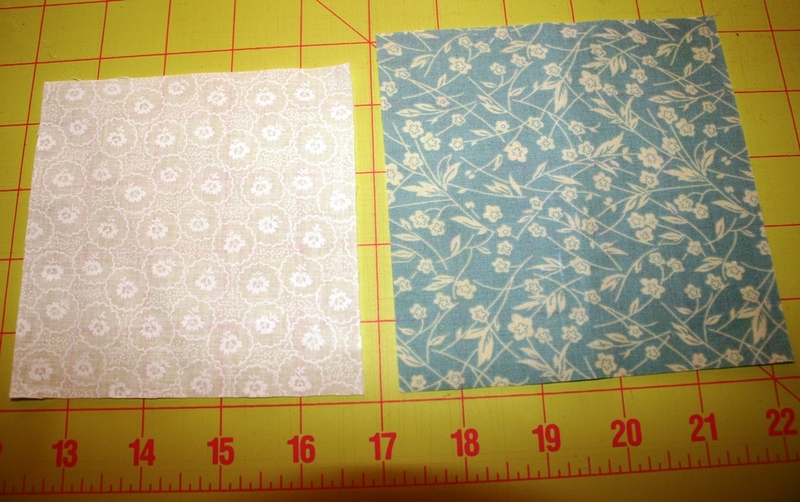 If you use the 4 1/2" and 5" squares I used, your finished square will be 4". You would need approximately 10 squares across and 20 squares down to cover the top of a twin mattress (I rounded up here). Then you would add squares for the amount you want to overhang the mattress. Hopefully, that makes sense. It is very easy to change sizes. 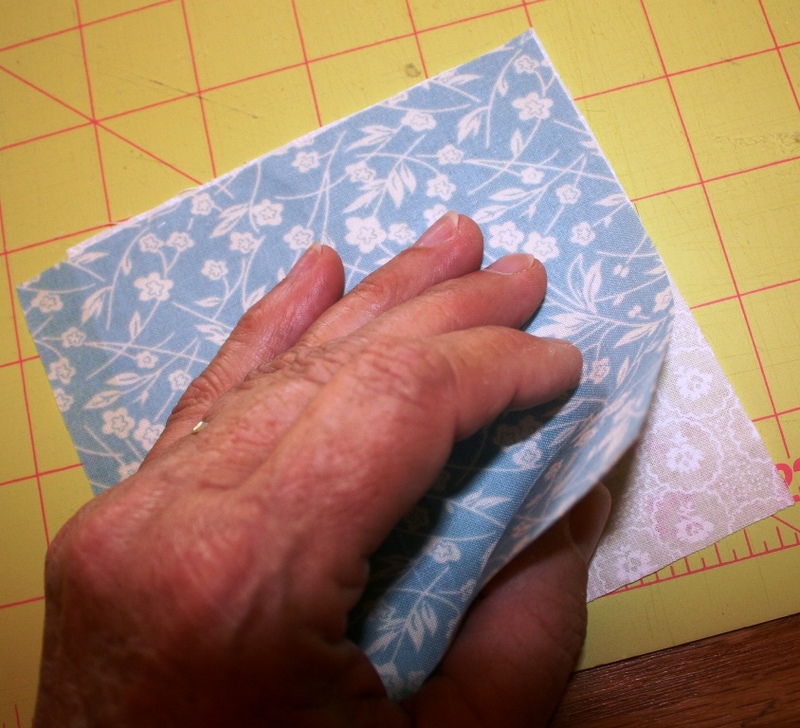 Just divide the width you want by the size of your finished square (subtract your 1/2" for two 1/4" seam allowances) and that should give you the number of squares you need for that dimension. You will need two numbers, one for width and one for length. If you want it 40" wide, 40 divided by 4 (the size of the finished square) gives you 10. You need 10 squares to make it 40" wide. Hopefully, this makes sense. Its a very simple process. Could you tell me please how you would wash this quilt with the puffies inside the squares? I'm very intrigued with your quilt! Thanks so much! Thank you for taking the time to show us how to do this. I have seen some beautiful baby quilts done this way. It has reminded me of ways to use up some of my fabric. 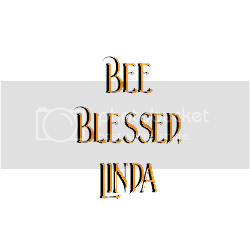 Great tutorial Linda! Thank you. I pinned this and will be trying one for my 4 year old granddaughter. I love what you have done. I just learned that a long lost friend just had a baby and I want to make this for her. How much yardage of each color did you buy. I am so impatient to get started. Enjoyed your tutorial. Found a suggestion on web where the person only stuffed 1 row, andthen sewed on next unstuffed row, stuffed it and sewed on next row, etc. Made it so much easier because I had trouble sewing 2 stuffed rows together. Thanks again. Thank you! The directions are so clear and uncomplicated. I will be making this now that I get it. Great blog! This is so clever and I just love the quilting you did...thanks for sharing.